Revisited the early EVIL DEAD films way back in February, but didn’t hit up ARMY OF DARKNESS until August. That’s the way these things fall sometimes. 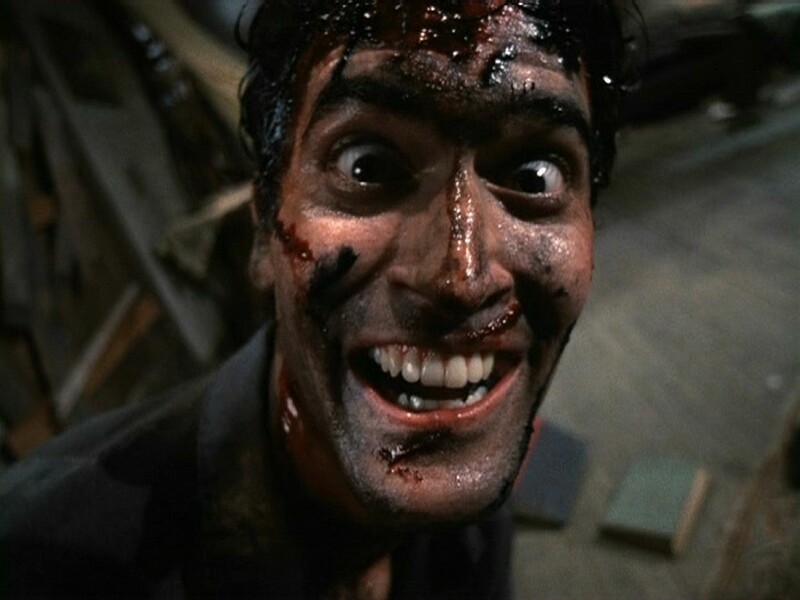 With the reboot of EVIL DEAD coming soon (you know, the one that has almost nothing to do with the original EVIL DEAD), I’d rather do this now and pretend a new one was never attempted. Scores for FILM; MOVIE; ACTING; WRITING; BONUS (if applicable). Then the average score. For an explanation of what these categories mean, jump to here. ~ by johnlink00 on September 7, 2012.